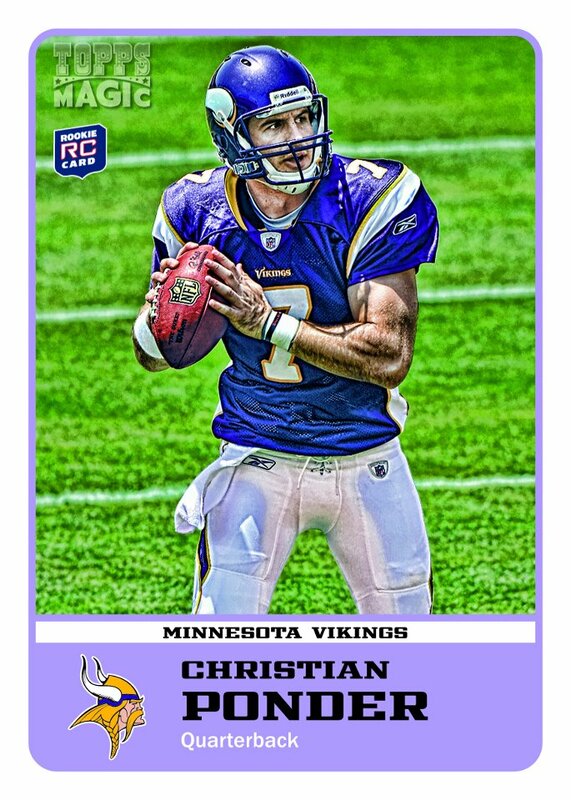 Topps is trying something different with 2011 Topps Magic Rookies Football. 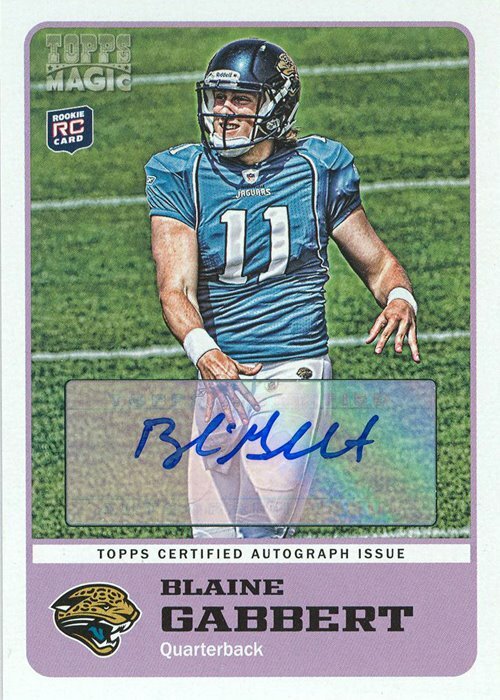 Opting to self-distribute via their online store, the set is an all-rookie affair, featuring the top first-year players of the 2011 NFL season. 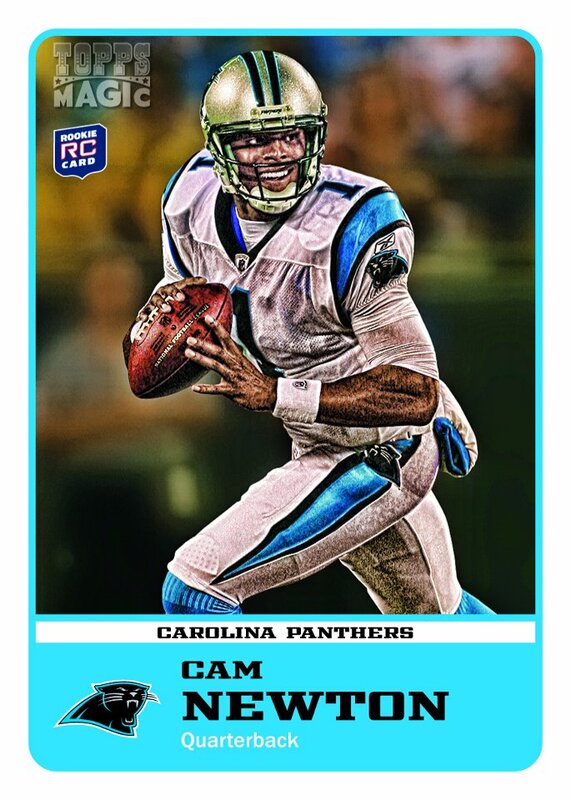 The 110-card base set features such standouts as Cam Newton, DeMarco Murray, A.J. Green, Christian Ponder, Blaine Gabbert, Julio Jones, Mark Ingram and many more. With such a large rookie checklist, team collectors will likely find several names not widely available elsewhere. The card design sticks with the old-school feel of earlier Topps Magic sets. Player images have an artistic effect, similar to that used in 2011 Topps UFC Moment of Truth. Every 11-card mini box comes with ten base cards and one rookie autograph. A total of 68 players have signed cards in the set. While not every one is going to be a winner on the secondary market, many will appreciate its comprehensive nature. 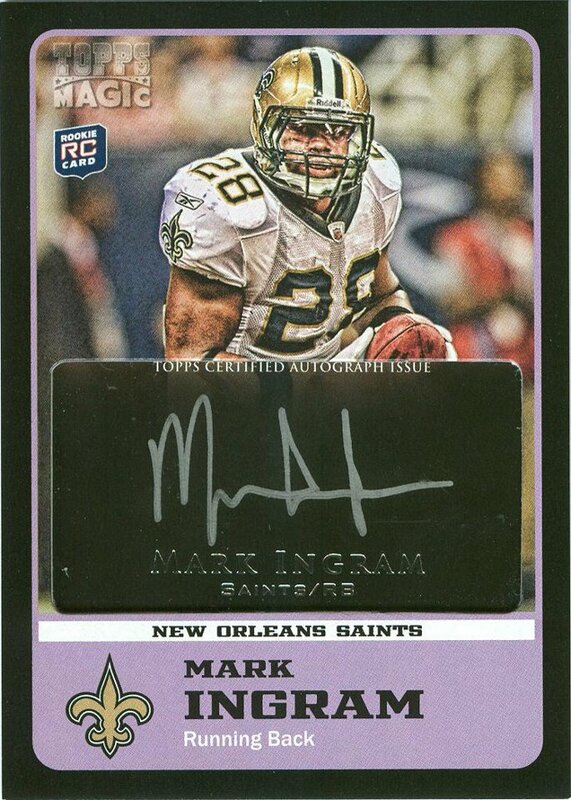 Further fueling the chase are one-of-one Black Magic Autographs, black-bordered parallels to the regular autographs. Finally, Black Magic Cut Signatures offer silver autographs of the 2011 rookie class. The 2011 Topps Magic Rookies base set consists of 110 rookie cards. Base set also has ten variations. Every mini box comes with ten base cards and one rookie autograph. The Autograph checklist consists of 68 first-year players. One-of-one Black Magic Autograph parallels add to the chase. Black Magic Cut Signatures offer silver autographs from the 2011 rookie class. Originally offered as an exclusive at the online Topps store. 1-2011 TOPPS NFL MAGIC ROOKIES FOOTBALL R C AUTOGRAPH HOBBY PACK GREAT ROOKIES"